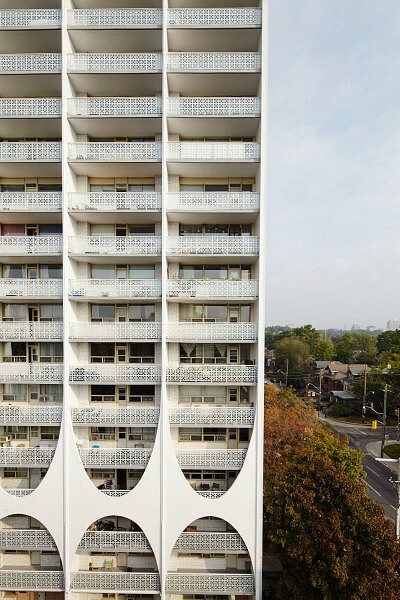 The 1969 high rise apartment at 100 Spadina Road contributes to a body of distinctive modernist work by Estonian-born Canadian architect Uno Prii. Intrigued by the dynamic formal possibilities of reinforced concrete, Prii used his dual engineering and architectural training to create graceful, curvalinear forms that maximized their structural potential. 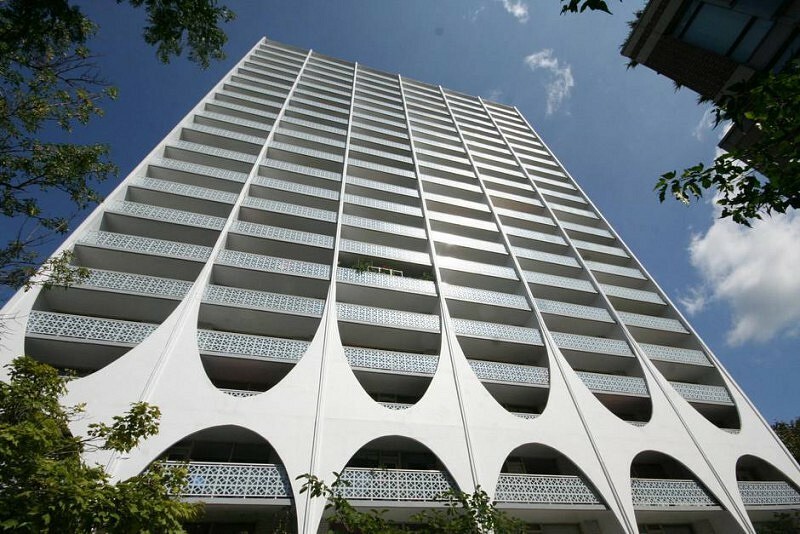 Similar to a number of Prii’s apartments in the Annex neighbourhood, the Owner’s of 100 Spadina recently faced a dilemma. 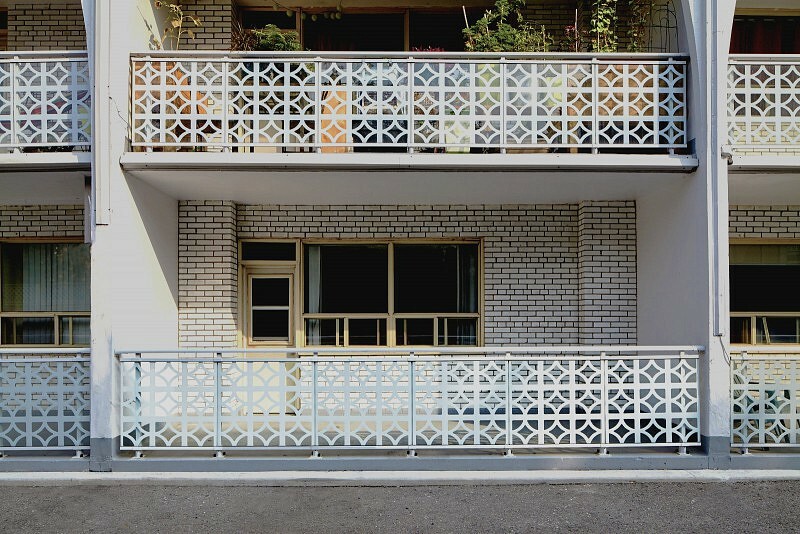 The balcony guardrails of their now designated heritage building were in need of replacement. 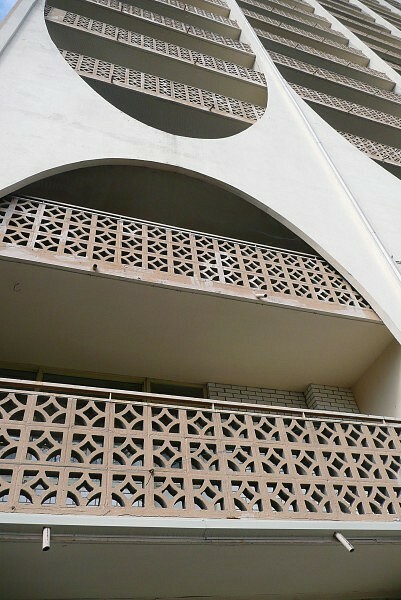 Other Prii apartments had already exchanged their distinctive railings with unsympathetic alternates – notably 44 Walmer Rd just a few blocks away. 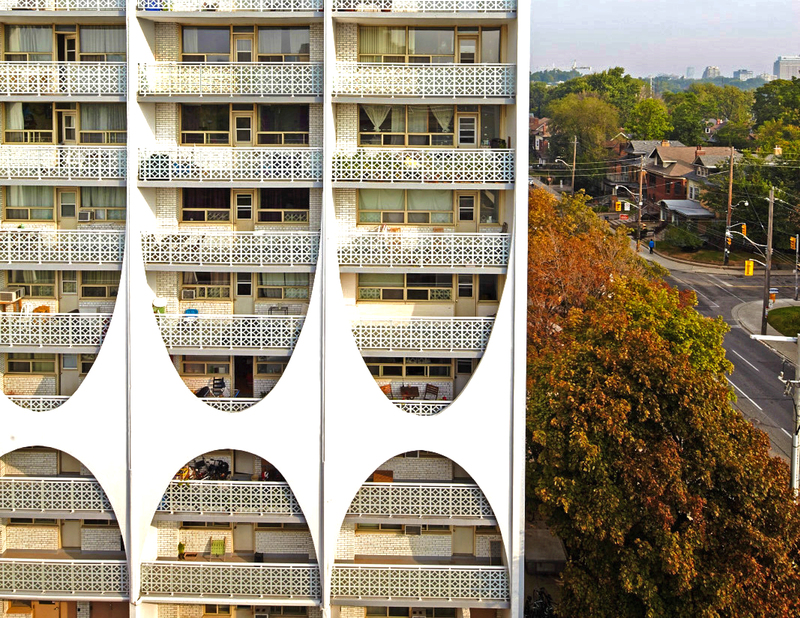 Stronger City heritage preservation regulations coupled with responsible building ownership meant that the crumbling balconies at 100 Spadina were handled differently. 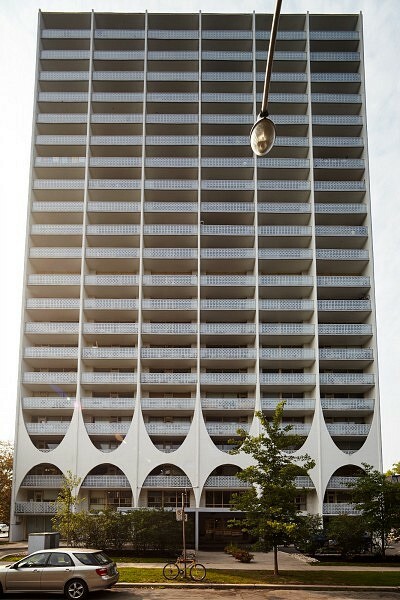 Unique amongst Prii buildings, the guardrails at 100 Spadina Rd were constructed of identifiably ‘60’s era perforated concrete blocks. 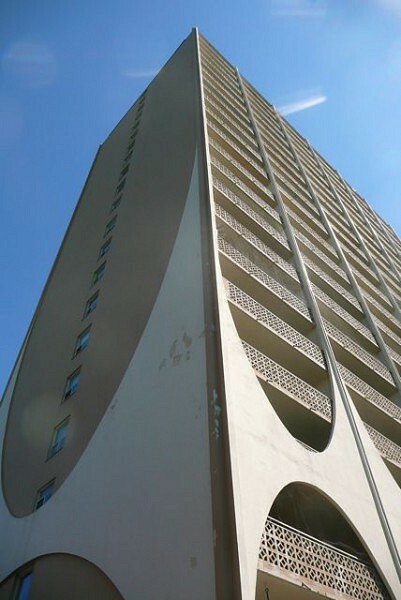 Not only had the blocks been deteriorating (largely due to corroding rebar), but also the guards no longer met the requirements of the building code, which prohibits ‘climbable’ configurations. 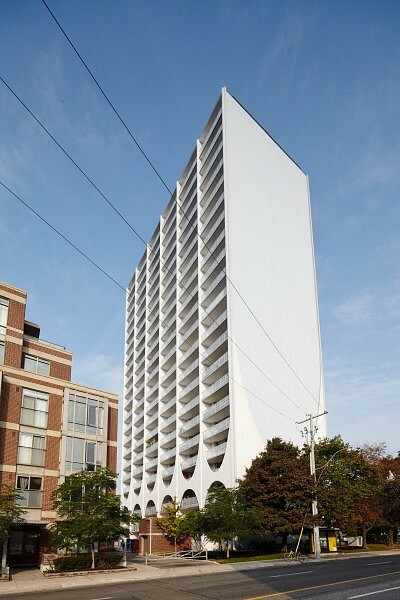 In lieu of pure conservation, the project required an alternative material solution. 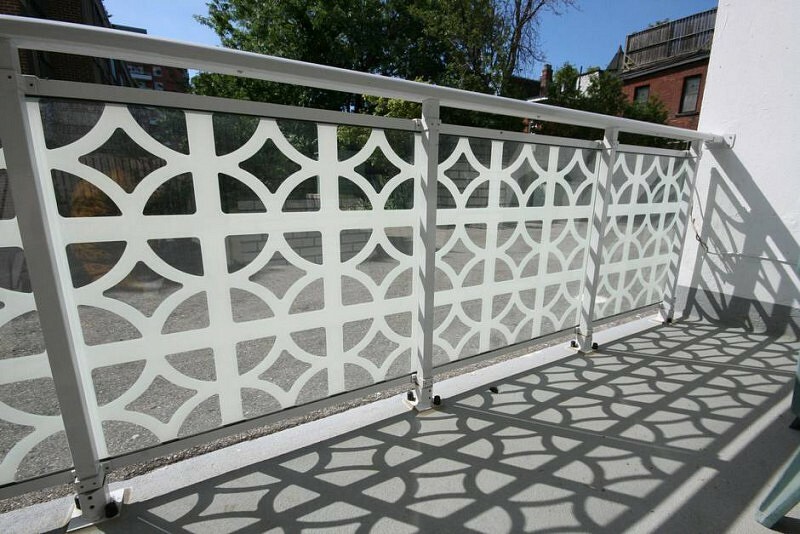 Looking to mimic the appearance of the perforated block, metal guards were also ruled out for similar code and corrosion reasons. 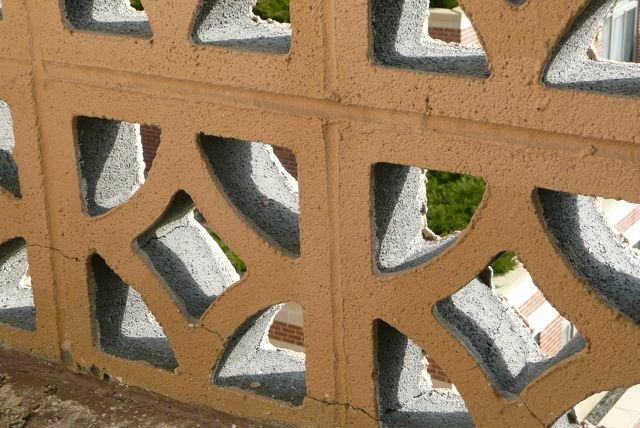 Ultimately, durable, fritted glass panels, etched to resemble the original concrete block pattern, were installed. The current scheme is much lighter, both physically and visually, than the original, and in keeping with the overall spirit of Prii’s architecture. 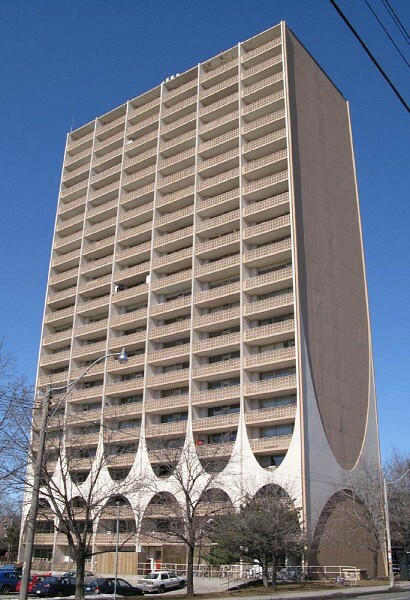 During the renovation, the building was also repainted in keeping with the architect’s design intent.